OTTAWA - Bad advice from Conservative party headquarters appears to have caused headaches for Saskatchewan MPs, some of whom say they were caught off guard on the redrawing of the province's electoral map. Conservative caucus sources told The Canadian Press that party officials directed them to stand down last year when the Saskatchewan boundaries commission first invited input a year ago. Of the 181 names of people who submitted their views on how the ridings should be formed, there's nary a single MP on the list. The vast majority of those early submissions were in favour of creating new urban-only ridings, instead of the urban-rural hybrids that the Conservatives prefer for both political and practical reasons. Four months later, the commission released a proposed map and report for comment — one that favoured urban-only or rural-only ridings as a way to keep "communities of interest" together. The party quickly attempted to do damage control, making automated calls to residents warning them of the possible changes. A postcard campaign was launched. MPs made written submissions and appeared at public hearings across Saskatchewan. But the commission's draft report, released in January, stuck to the concept of changing the face of the province's ridings. One of the three commissioners, David Marit, offered a dissenting opinion. Conservative spokesman Fred Delorey said he would not comment on internal party matters. In an interview, the head of the commission, Saskatchewan Justice Ronald Mills, refused to speculate about whether more submissions early on would have changed the commission's initial position on urban-only ridings. "When we published the report, the report provided for that, not just because of those (early) presentations, but because of our view of the demographics, the population trends, immigration to Saskatchewan, of the size and growth in the cities, and a whole raft of things that involved communities of interest," Mills said. MPs are now trying an eleventh-hour appeal, testifying before a Commons committee that is tasked with reviewing the commission's report. Two weeks ago, some Conservative MPs suggested the body had already made up its mind early in the process, influenced by a group of eight political science professors who made a group submission last April. The MPs argue that some of the rural ridings will be unwieldy, and that some suburban areas are being tacked onto them unnecessarily. 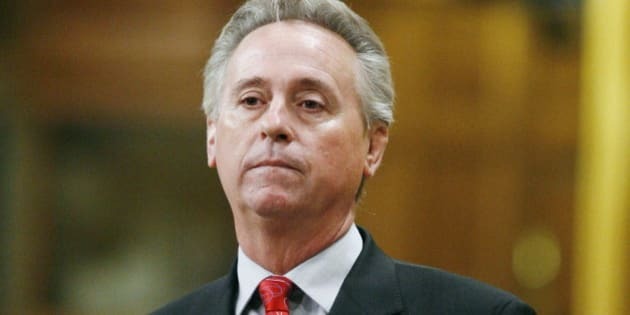 Conservative MP Tom Lukiwski is scheduled to testify in the next round of hearings April 16. He said there are have been times in provincial politics were certain parties represented rural ridings, and others urban ridings, and he thinks that's unhealthy. "The economy of Saskatchewan is so integrated between rural and urban, I think that's why it makes sense to have members who are conversant and represent both rural and urban interests, so you don't have competing interests," said Lukiwski. Mills emphasized that he was appointed to the commission by the chief justice of Saskatchewan, and commissioners Marit and John Courtney by the Speaker of the House of Commons. The last time the map was studied, in 2002, 100 per cent of those who appeared in person before the commission were opposed to strictly urban ridings. This time around, the number had decreased to 68 per cent. But Mills says it isn't just a numbers game. "If this was simply a poll, there would be a poll taken, and fine and dandy, whatever the poll resulted would be what the boundaries would be, if that's what the process was," Mills said. After completing its hearings, the Commons committee will either support the commission's report or request changes. The commission, however, has the ultimate say in how the Saskatchewan electoral map will look. How Many Seats Will Each Province Get?